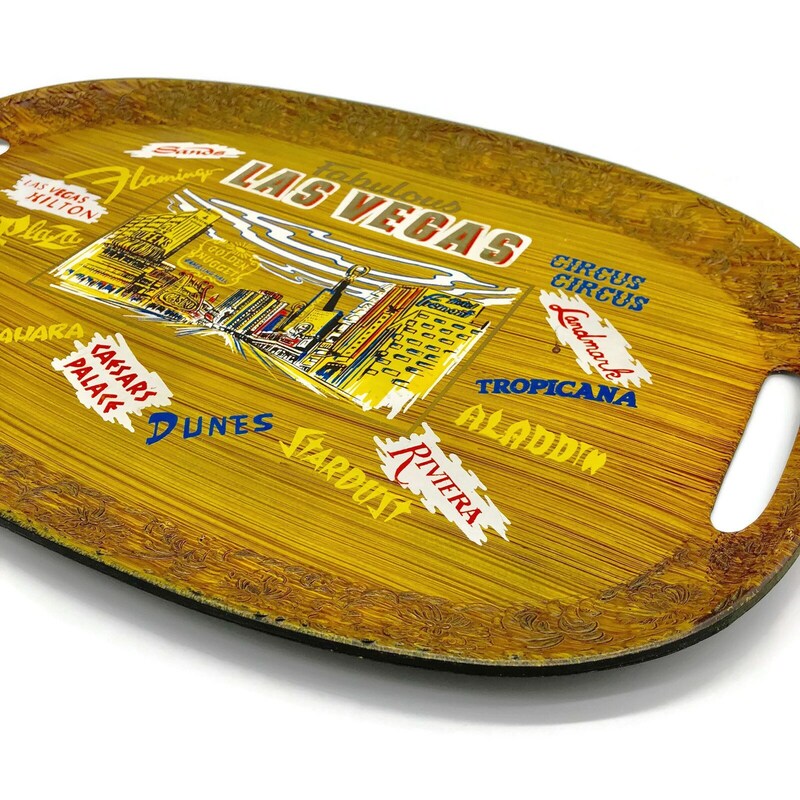 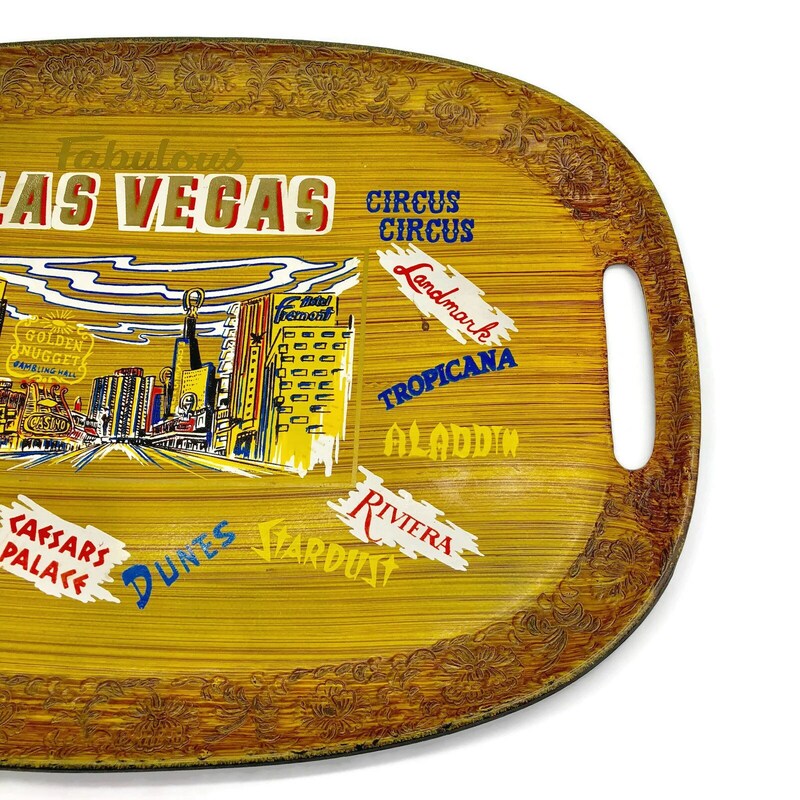 Up for grabs is this vintage "Fabulous" Las Vegas souvenir tray with awesome retro graphics in red, golden yellow, white, blue and black. 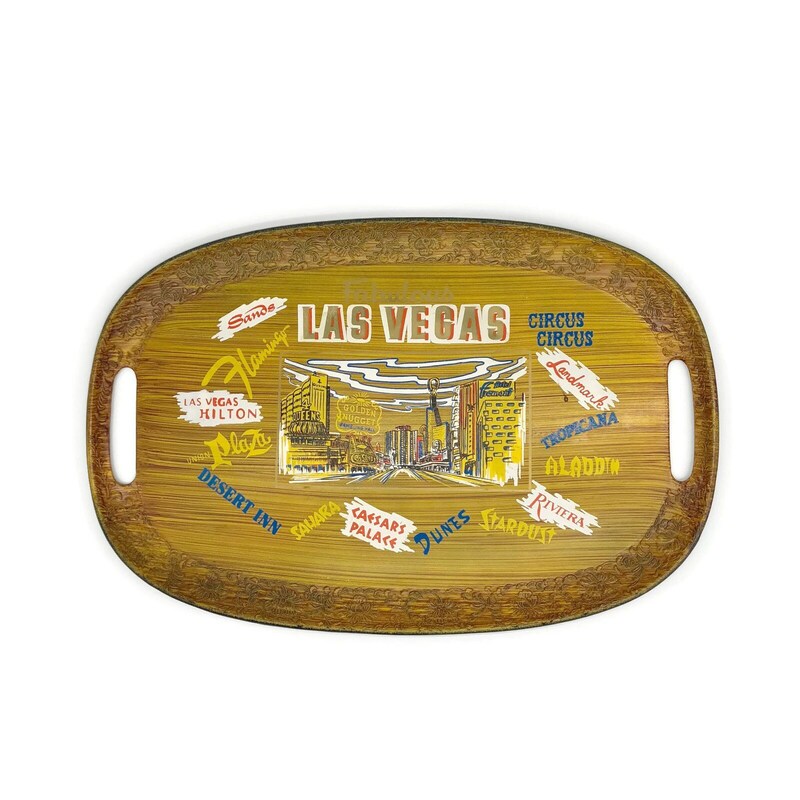 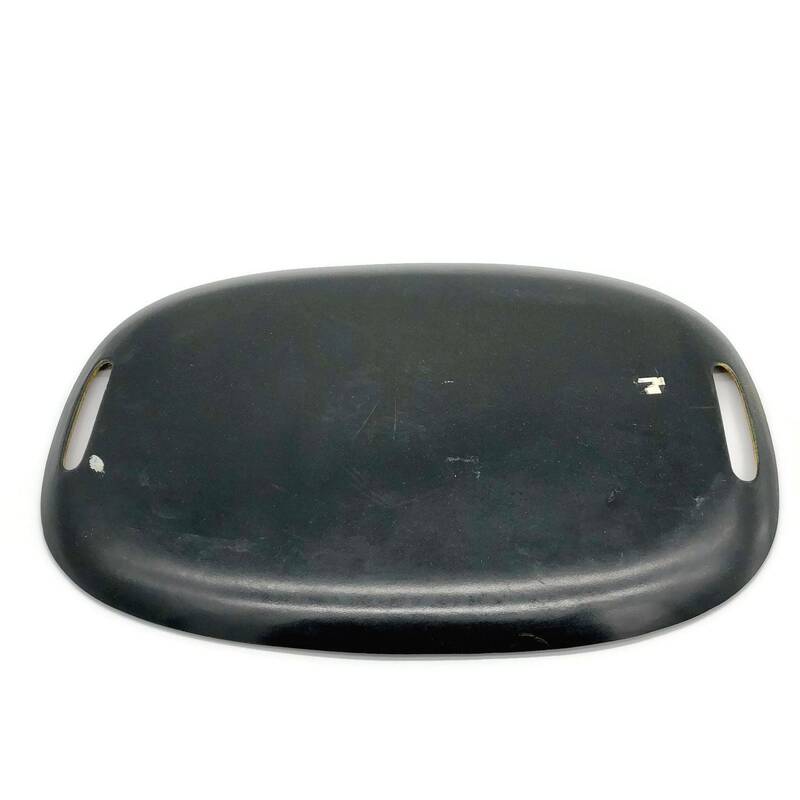 The primary back drop has a wood grain look with a western styled embossed design along the edges of this double handles serving tray. 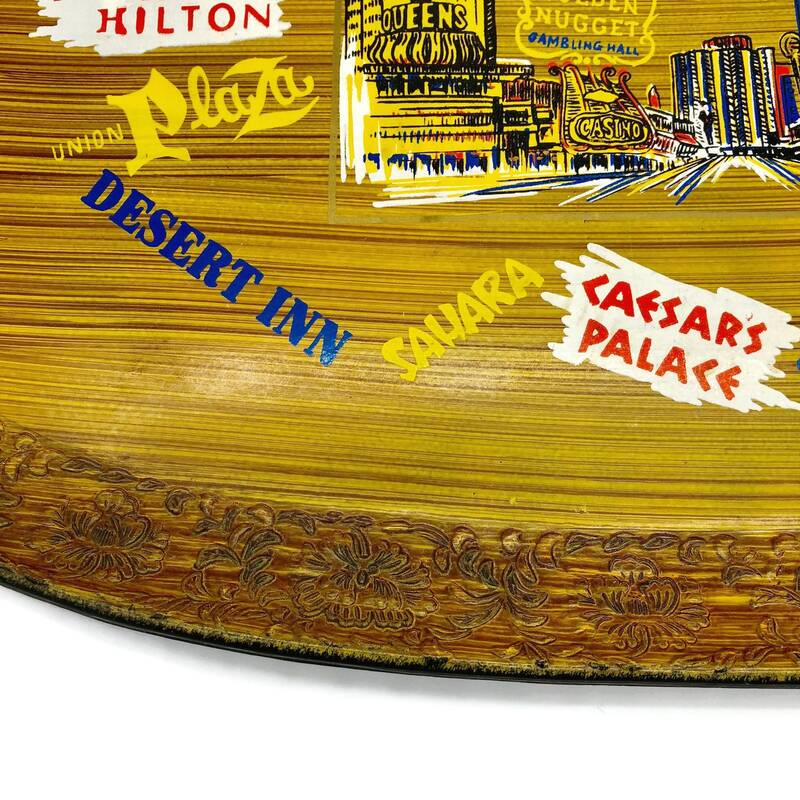 No chips or cracks in the plastic on this guy but there is some minor scuffing and scratches on the back black side. 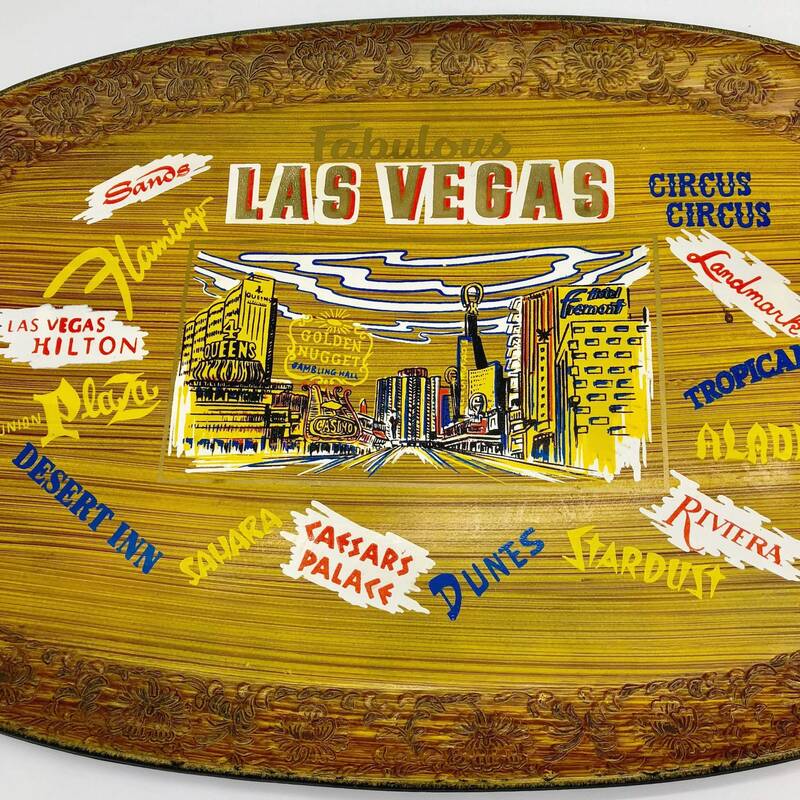 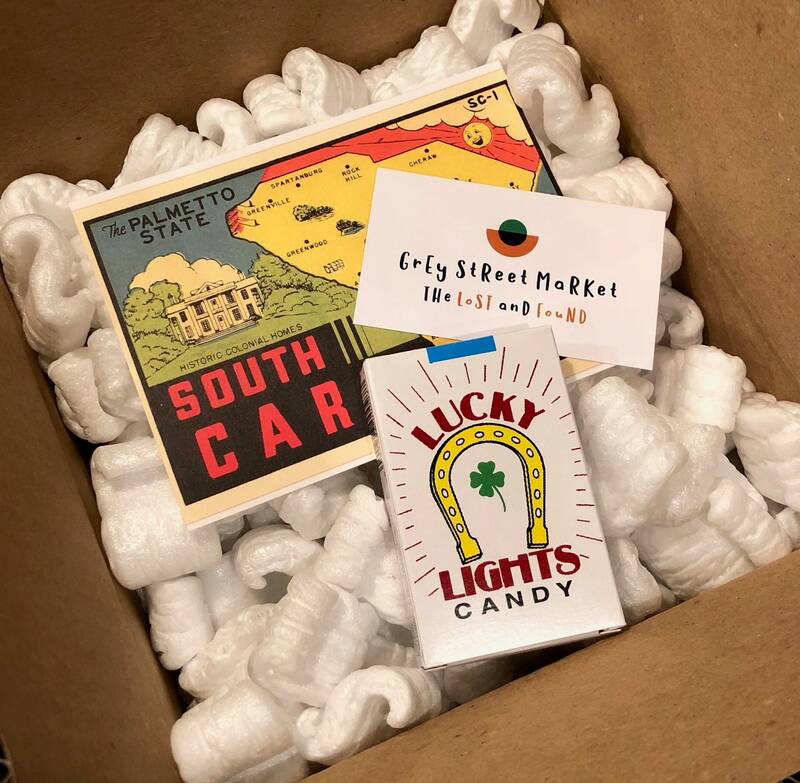 This collectible souvenir features the Sands, Las Vegas Hilton, Union Plaza, Desert Inn, Sahara, Caesar's Palace, Dunes, Stardust, Riviera, Aladdin, Tropicana, Landmark and Circus Circus. 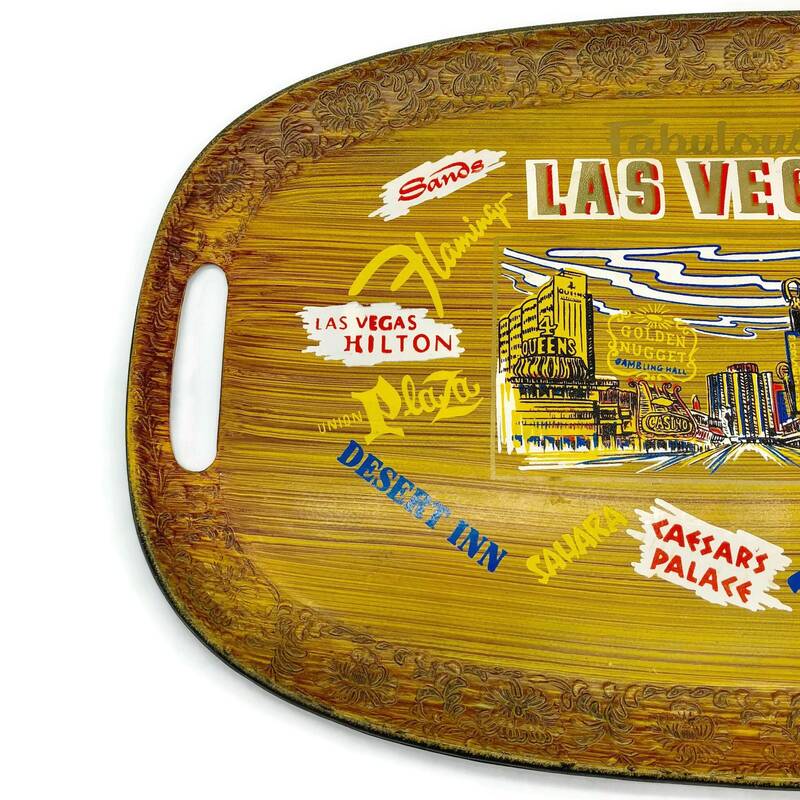 Remember, what happens in Vegas stays in Vegas.